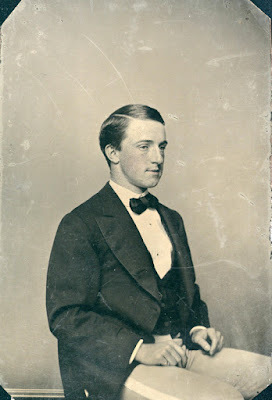 This tintype portrait of Charles Livingston Hubbard was taken when he was a young man. Charles was born in 1851 to Lester S. Hubbard and his wife, the former Jane Patterson Livingston. 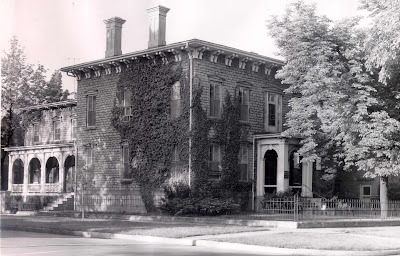 When Charles was still an infant, his family moved into an impressive large home at the southwest corner of Wayne and Adams Streets, which still stands today. Charles was educated at Kenyon College and Yale College, graduating from Yale in 1873. 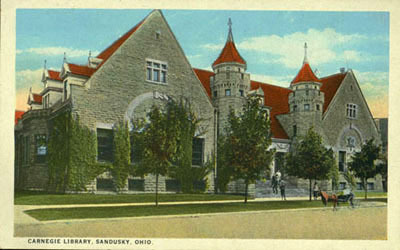 After being associated with an iron manufacturing plant in Chicago for a brief time, he returned to his hometown of Sandusky to practice law. In 1876 he lived with his mother, who was by then a widow, in his childhood home. 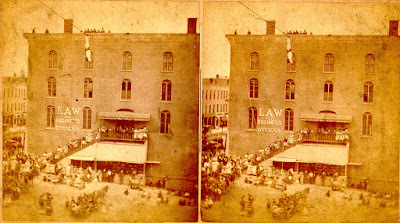 His law office was in the Hubbard Block. 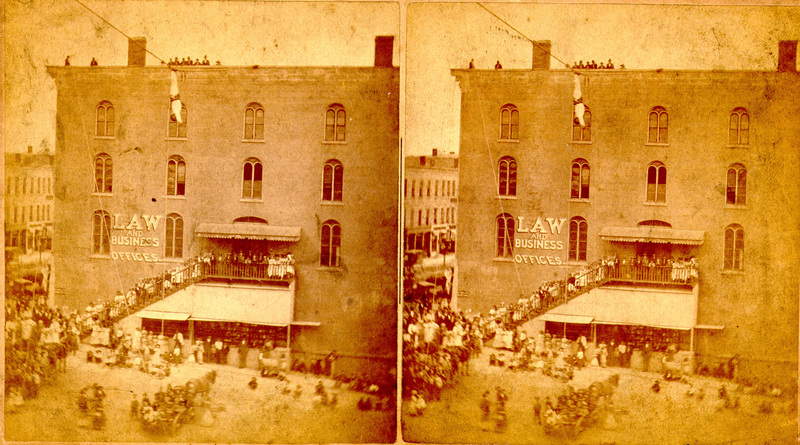 You can see the Law Office sign in this stereographic image, taken at Sandusky’s Centennial Fourth of July Celebration in 1876. When Charles L. Hubbard married Jennie West in 1877, it was reported as “grandest wedding of the season” in the October 20, 1877 issue of the Sandusky Register. 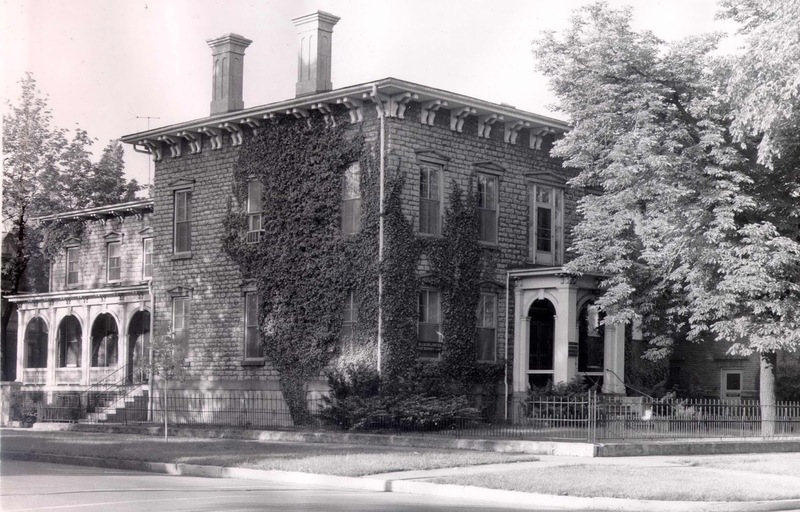 Both the bride and groom were the children of pioneer residents of Sandusky. The marriage produced four daughters: Eleanor (who died in early childhood), Millicent, Marion, and Jenna. Resolved, that in the death of Charles Livingston Hubbard the community has lost a valuable and high minded citizen who has for years been identified with the best interests of this city in which he was brought up. The Resolutions continued, and pointed out that Mr. Hubbard was an avid reader, an agreeable companion, and a friend to many. C.W. Sadler noted that he was “pure in word and deed.” Several other local attorneys offered high praise of the deceased, and noted that he had helped tutor high school students in Latin, Greek and mathematics. Mr. Hubbard was buried in the family plot at Oakland Cemetery. Though Charles L. Hubbard died as a relatively young man, his wife Jennie lived to be 103 years of age. Daughters Marion and Jennie lived until their nineties.